Roblox Direct gets a new theme! | Roblox Direct!! 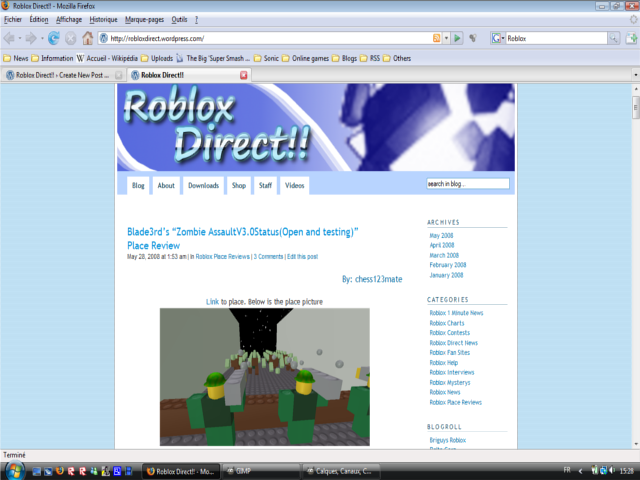 Roblox Direct gets a new theme! Boys and girls, I present: our new theme! It has alot of blue, so don’t get your eyes tired! Oh yes, chess123mate’s newest Place Review was our 100th post! Looking good! In other news, there’s been going on a very long ROBLOX Maintenance. Possibly the new theme?